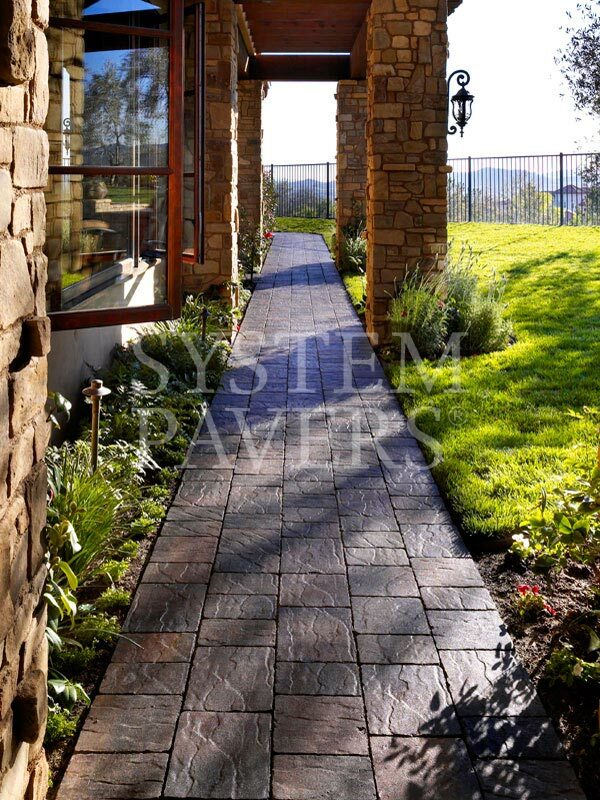 Stone walkways may be functional outdoor elements, but that doesn’t mean they can’t also be used to increase the beauty of your outdoor living spaces. 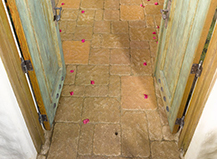 Walkways have been used for hundreds of years to add charm, class, and beauty to some of the world’s finest homes and structures. 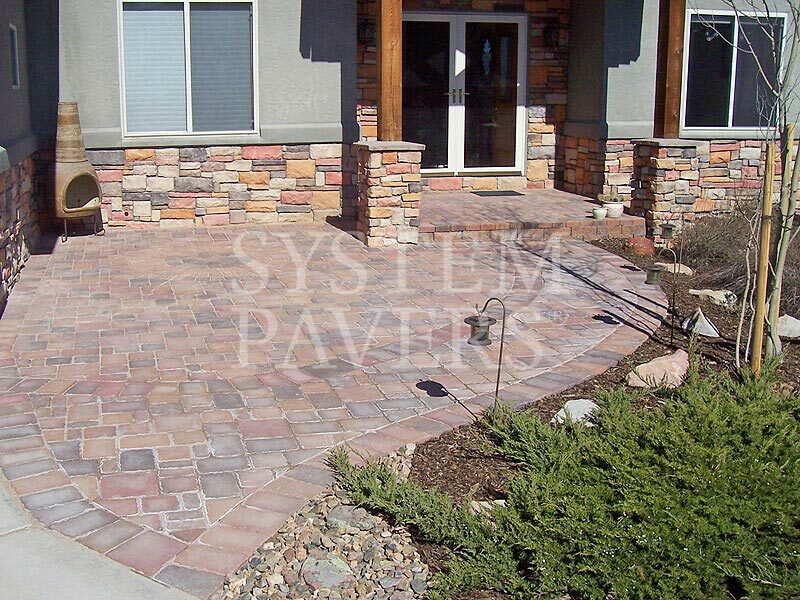 You can create stunning and functional walkways by choosing from a variety of System Pavers' attractive colors and walkway paver patterns to complement your home’s architecture and individual style. 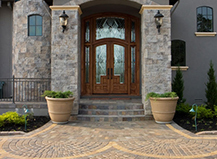 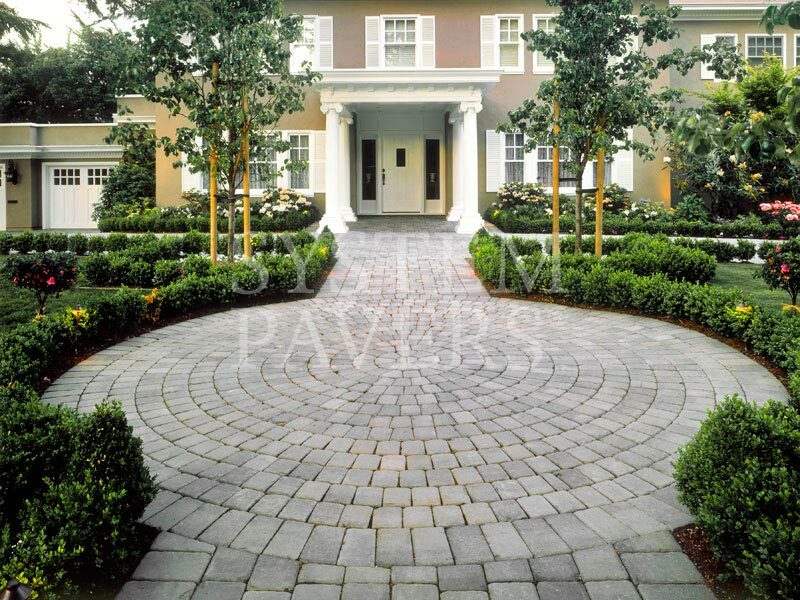 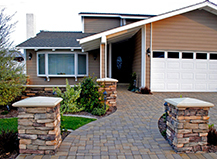 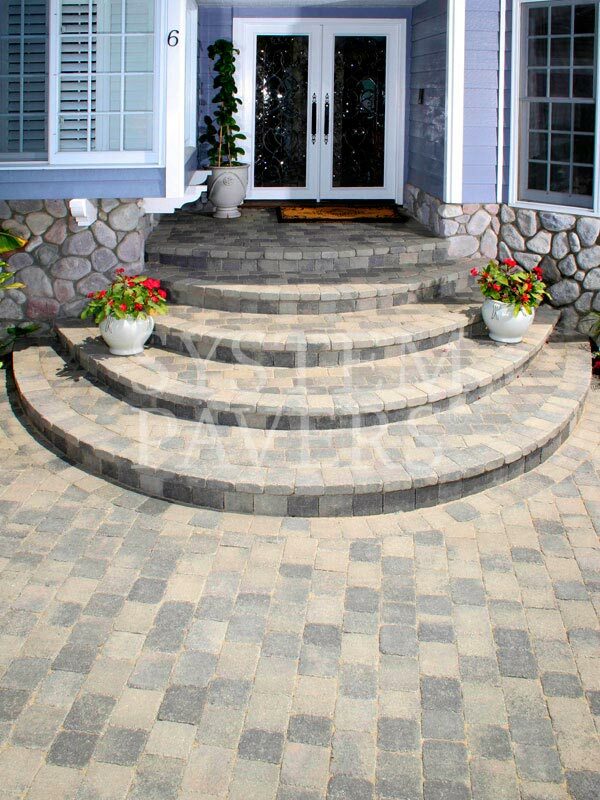 Adding paving stone walkways to your front landscape is a surefire way to improve your home’s curb appeal, likewise quickly increasing its overall value. 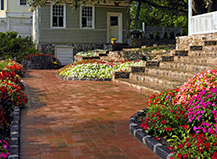 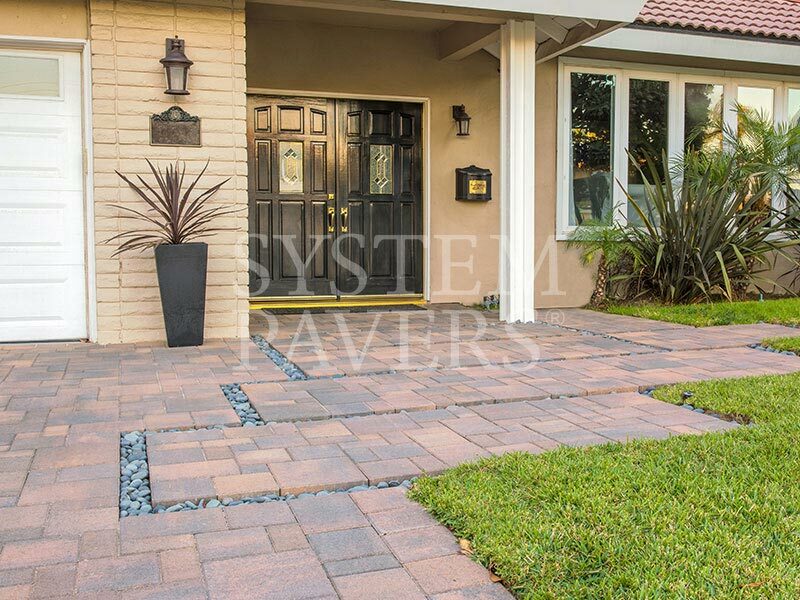 Whether you’re preparing your home for sale or settling in for the next 25 years, our paver walkways can dramatically transform your home’s exterior to make it the star of the neighborhood. 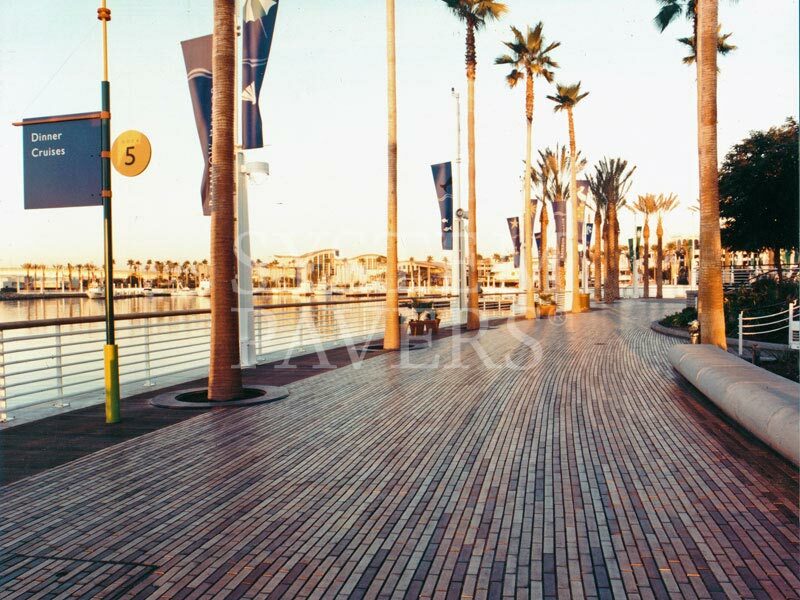 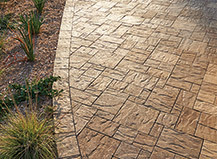 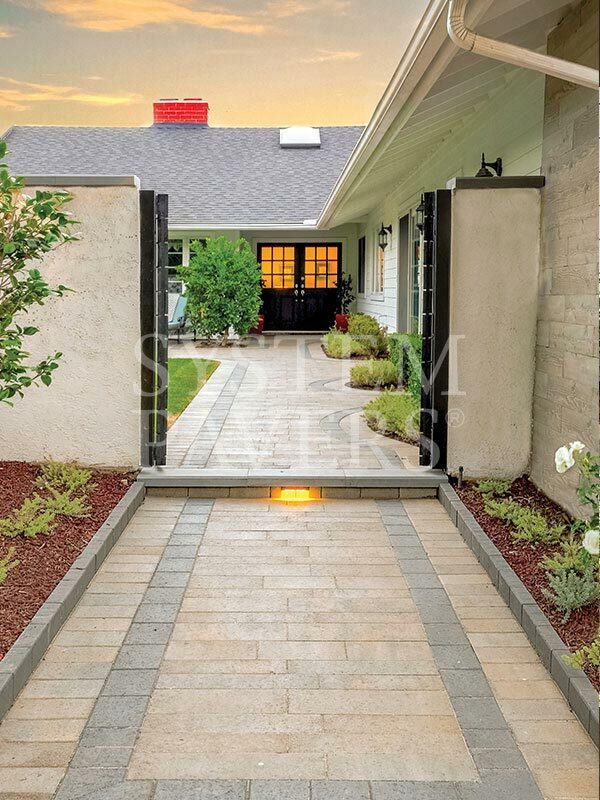 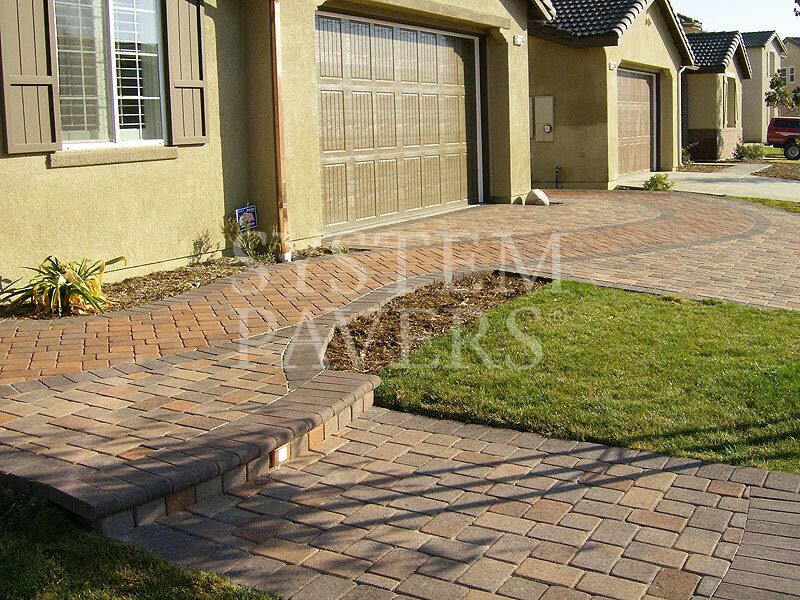 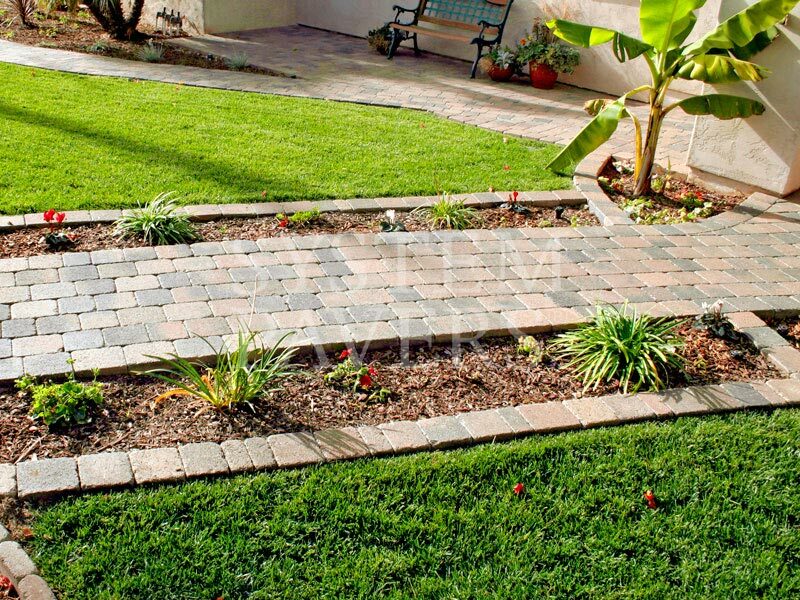 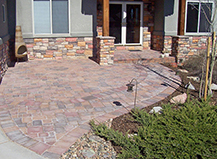 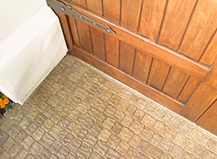 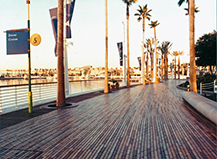 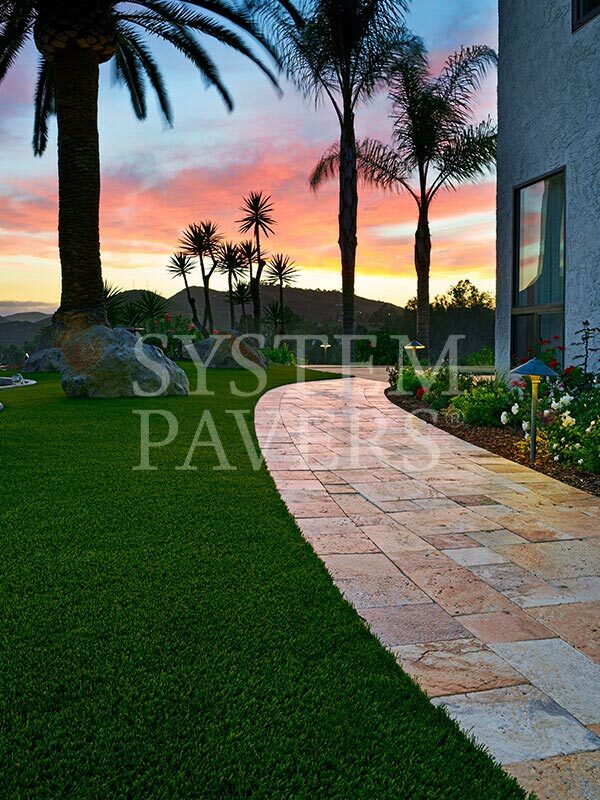 Our interlocking walkway pavers can withstand all types of weather exposure, from the intense dry heat of the Palm Desert to the freezing temperatures and heavy snowfalls of the Rocky Mountains. 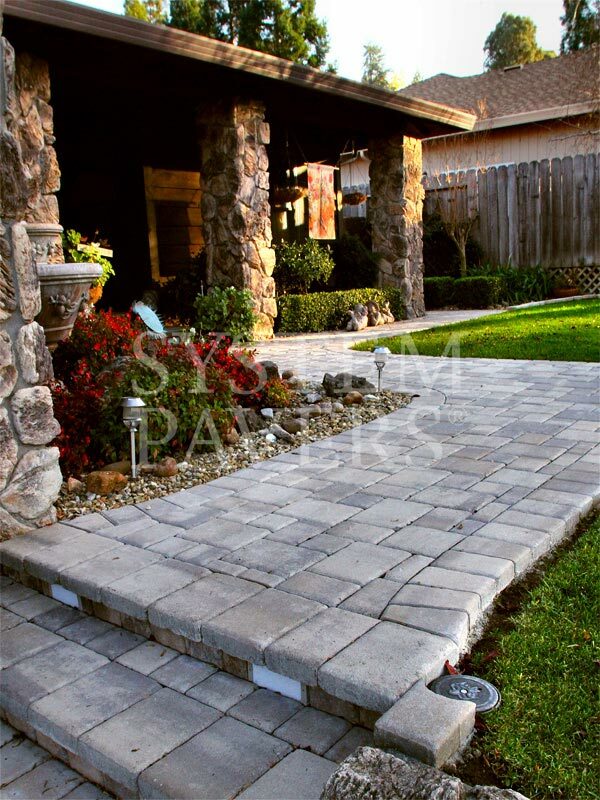 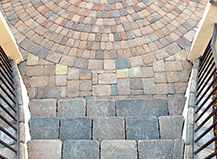 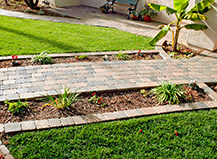 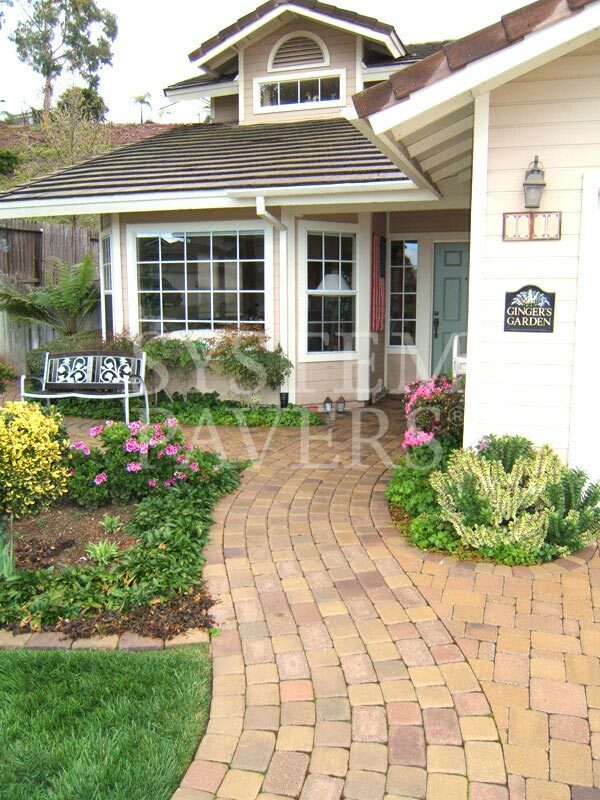 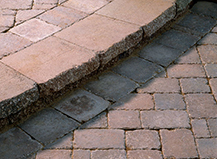 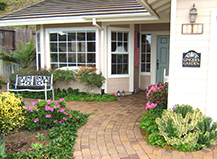 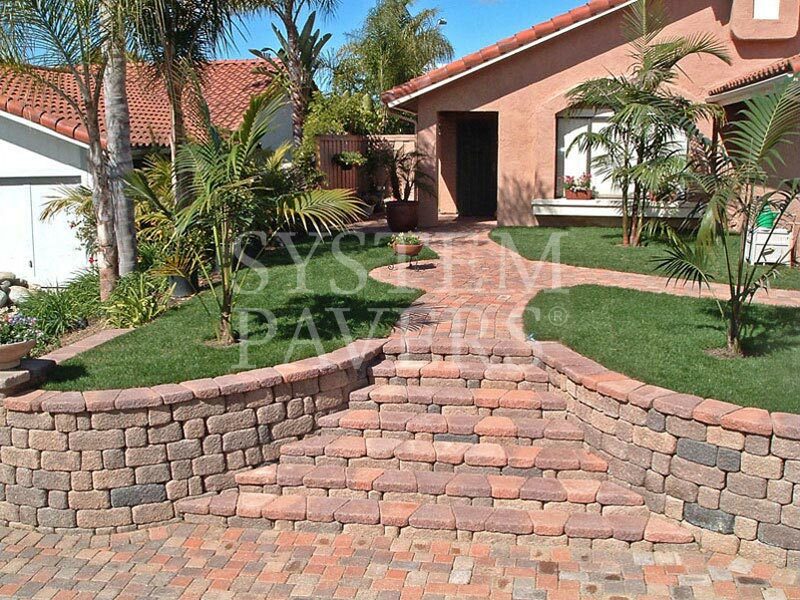 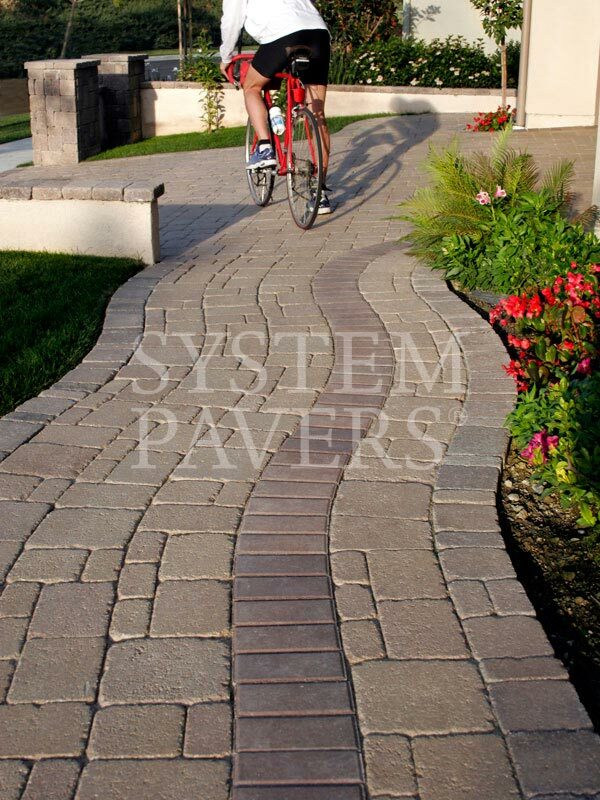 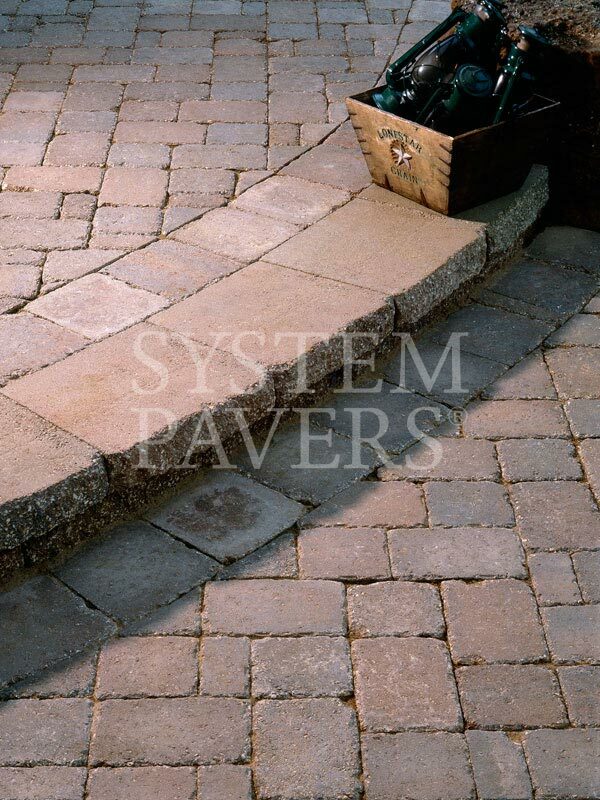 We guarantee that when you choose a System Pavers walkway, it will hold up for years to come. 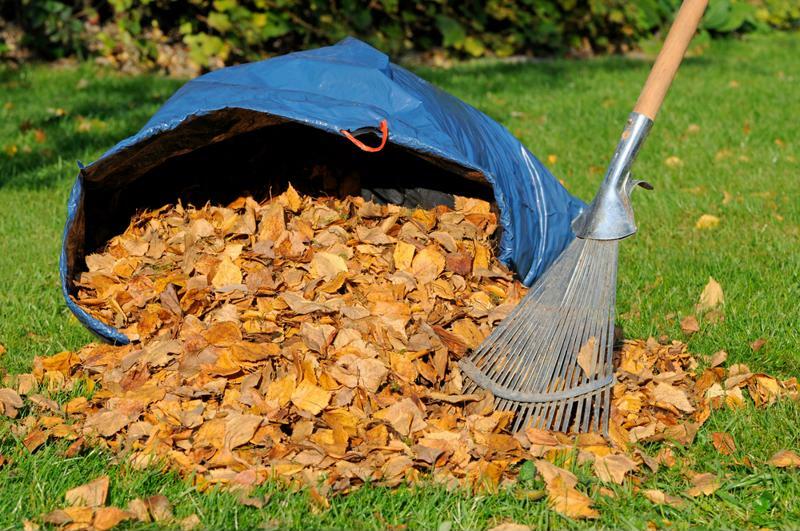 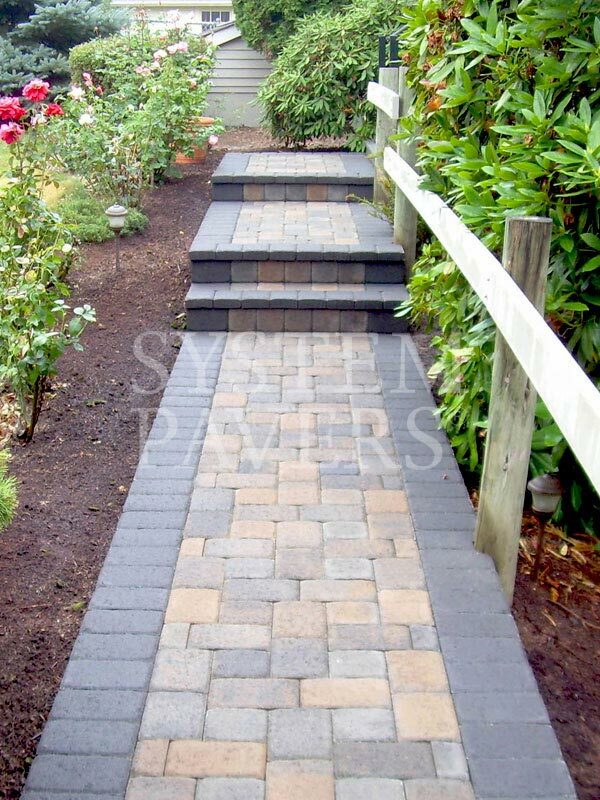 Whether you want your walkway to provide a path to your front door, pool, garage, courtyard, or patio, we can find the perfect style and appearance for your home exterior that will dramatically improve the aesthetics of your yard in the process. 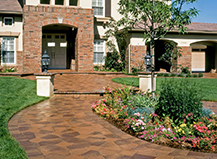 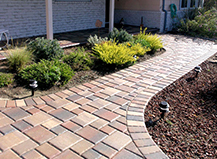 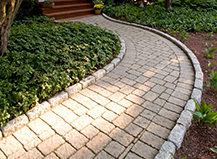 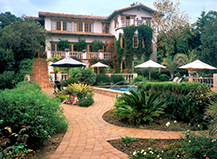 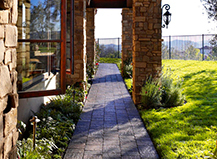 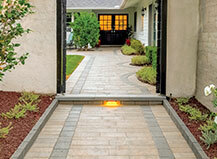 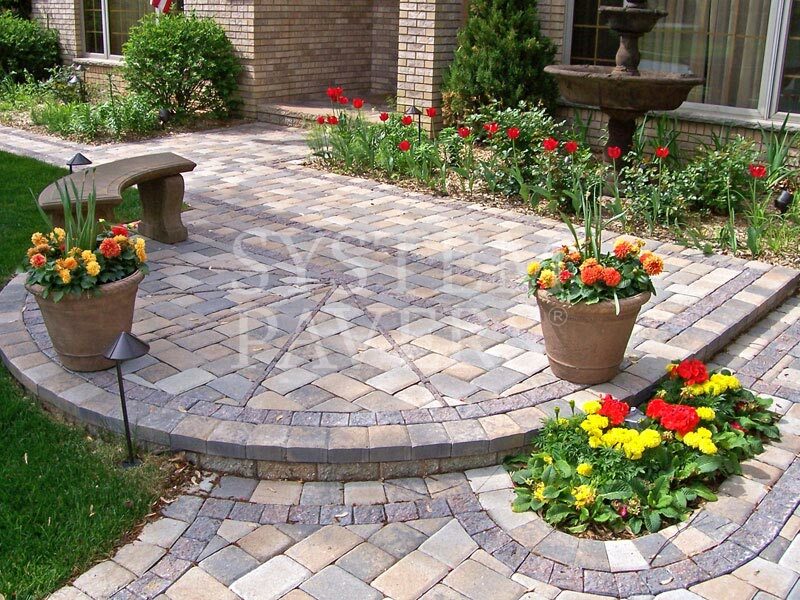 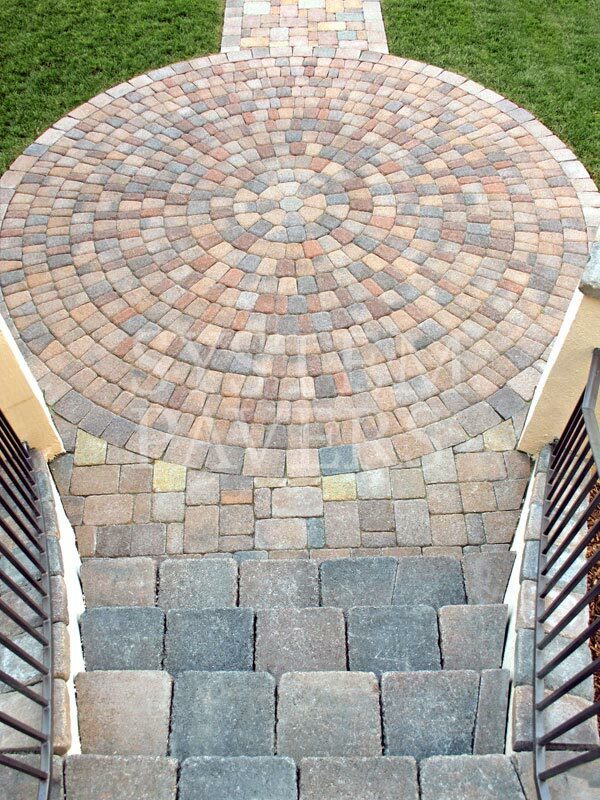 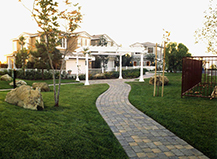 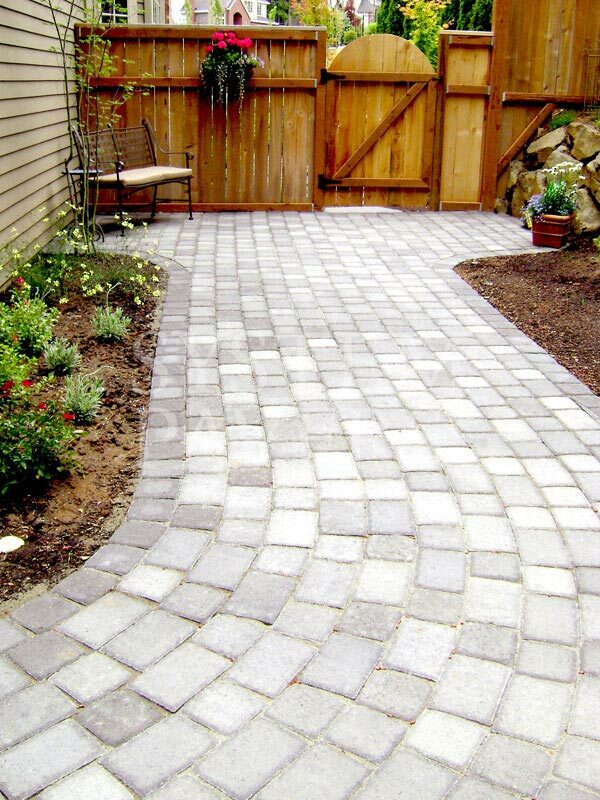 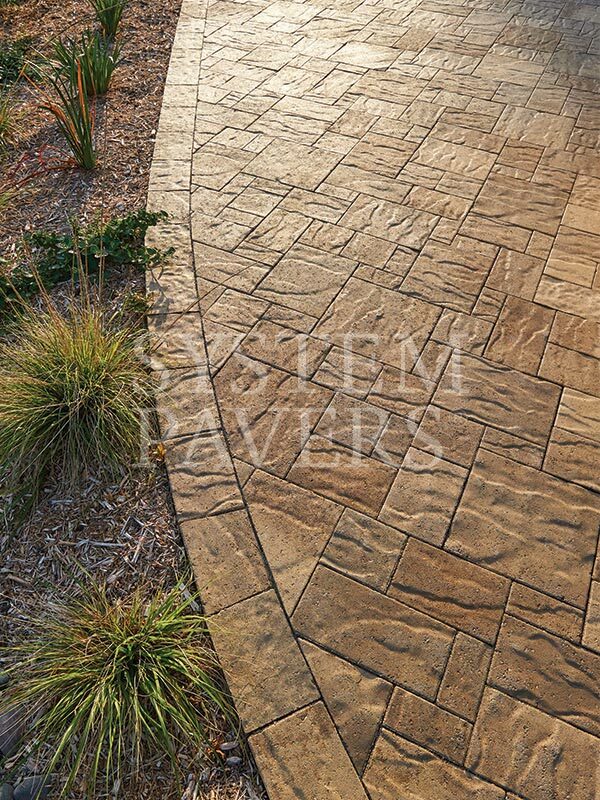 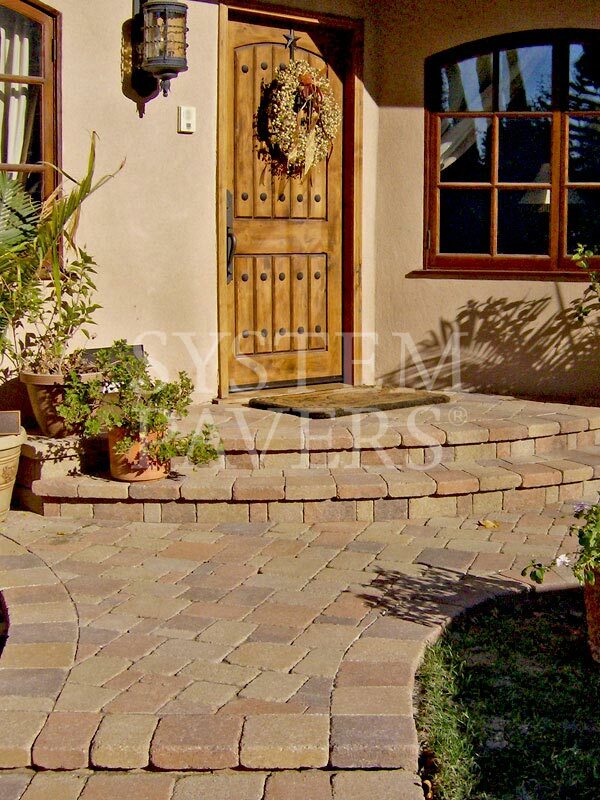 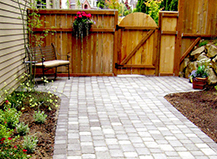 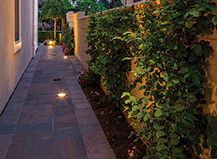 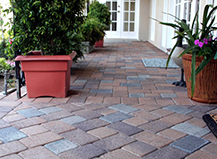 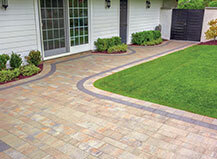 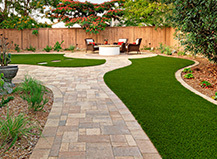 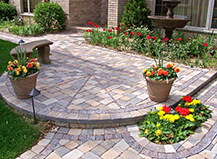 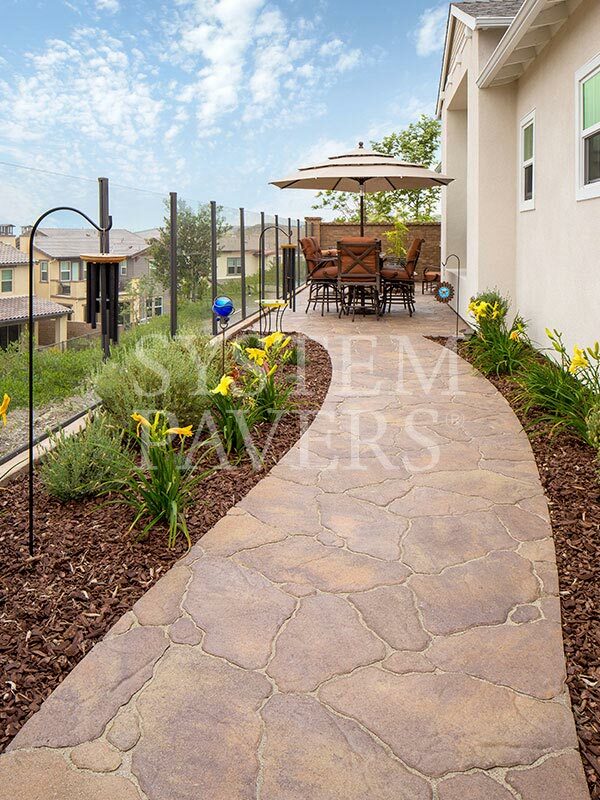 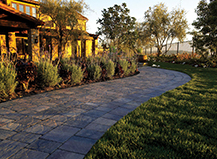 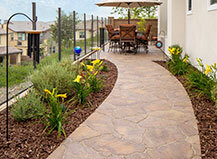 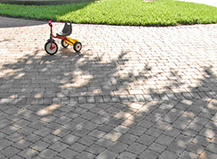 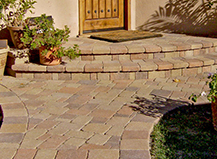 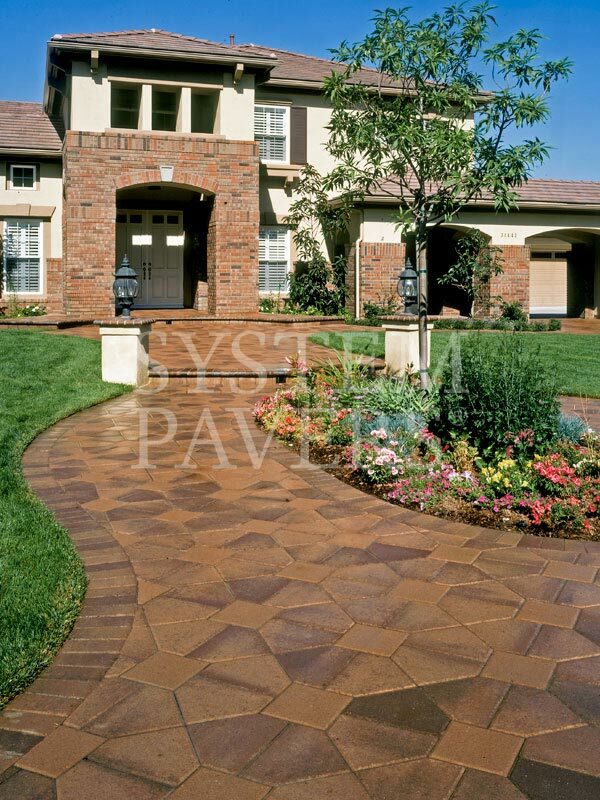 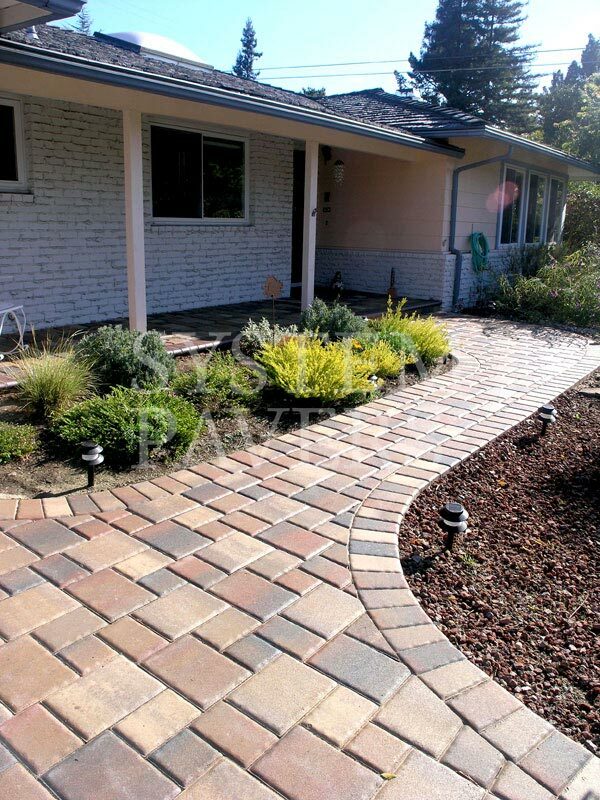 Walkways with pavers can help you swiftly and easily improve the appearance and functionality of your outdoor space. 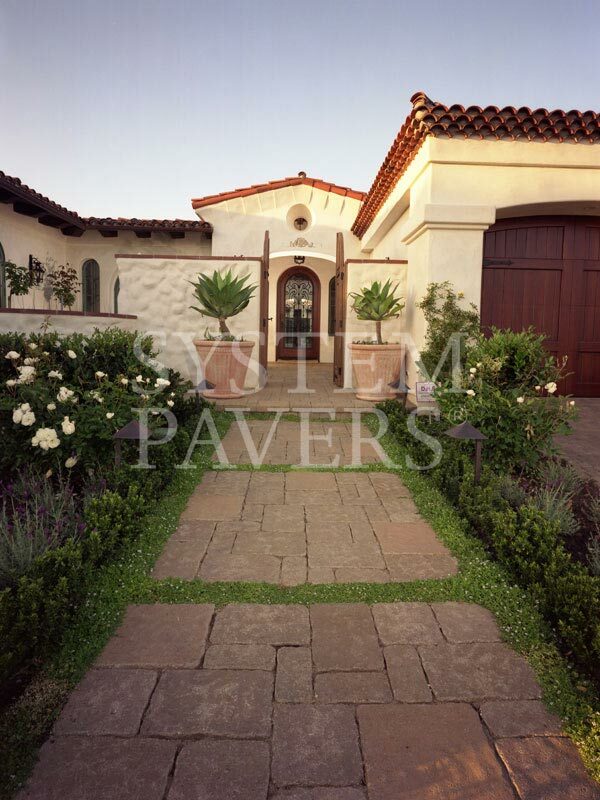 Whether you favor a traditional European charm or a more contemporary look, the variety of paving stones balance a wide range of architectural and design styles. 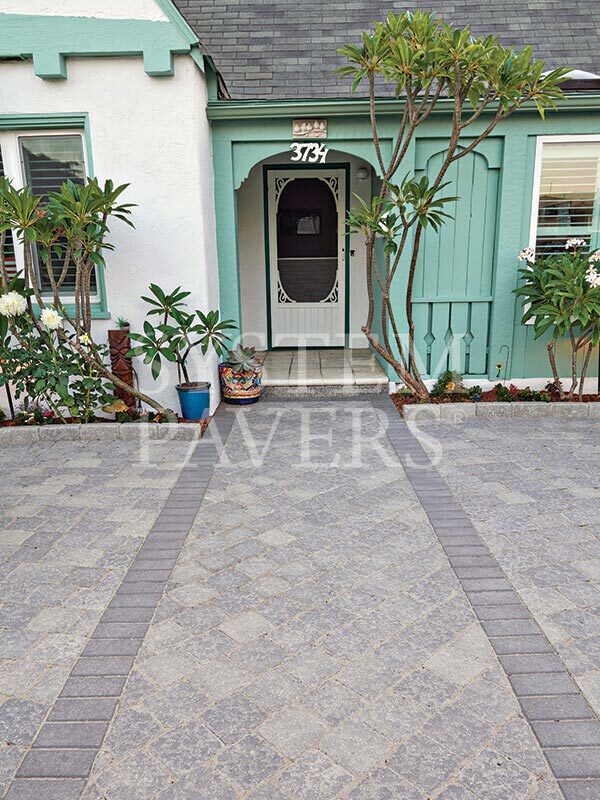 Furthermore, your beautiful and durable pavers will always look good and require very little maintenance regardless of how much foot traffic it receives over the years. 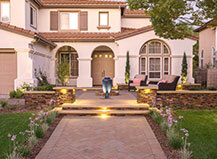 Your own personality and style, as well as that of your home, can be captured in a design well-matched to your needs. 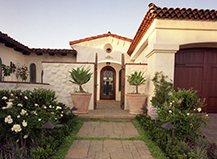 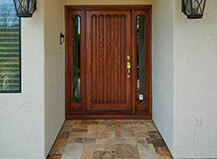 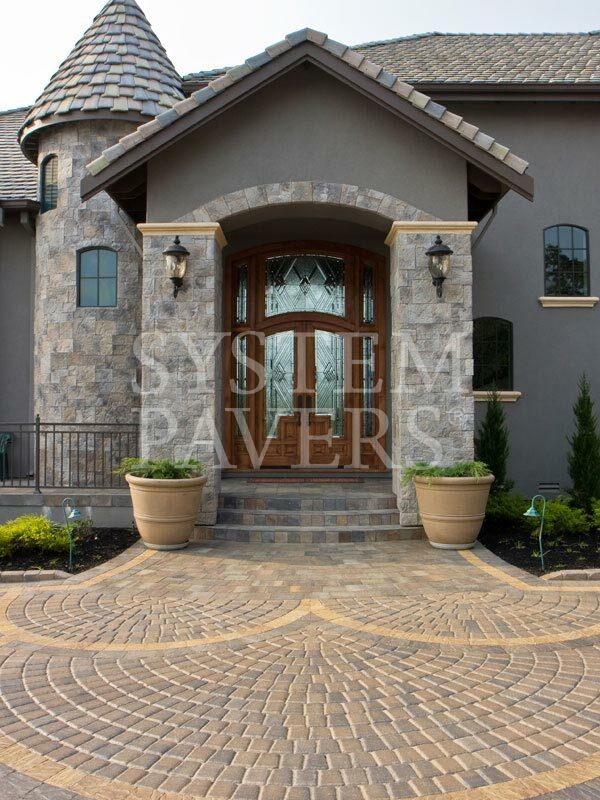 Homeowners have many shapes, colors, patterns, and sizes to choose from. 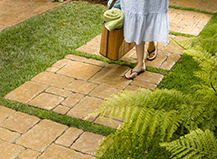 Therefore, no two paving stone walkways are identical. 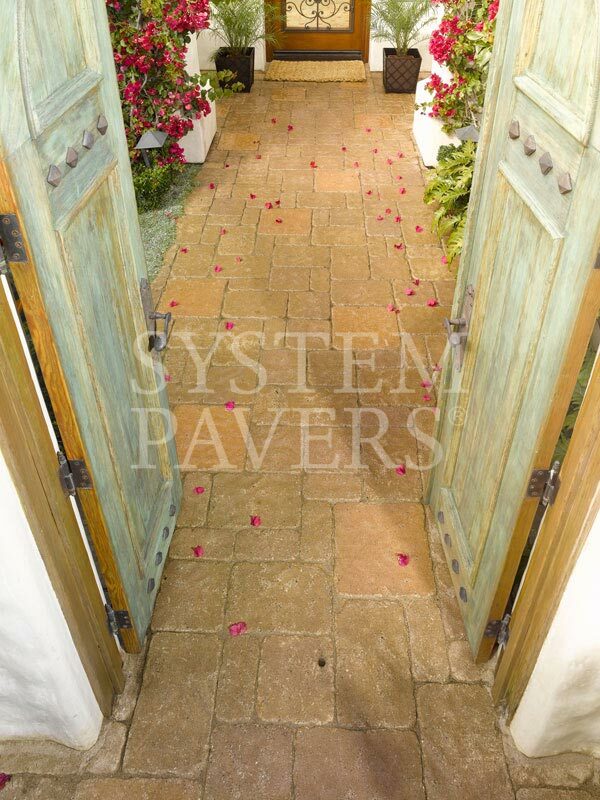 The possibilities are endless when it comes to the design of your paving stone walkways, so virtually any arrangement you can dream of is possible. 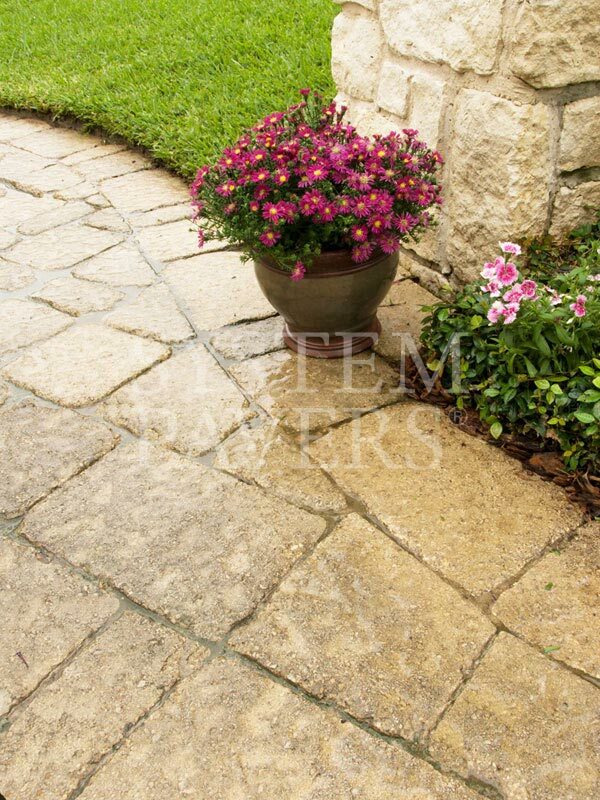 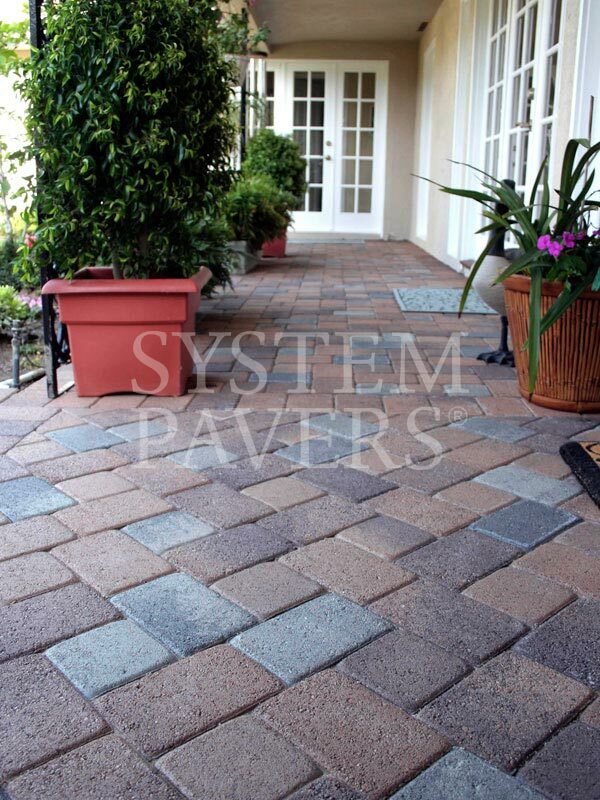 As durable as they are beautiful, paving stones are often a more cost-effective investment than cement. 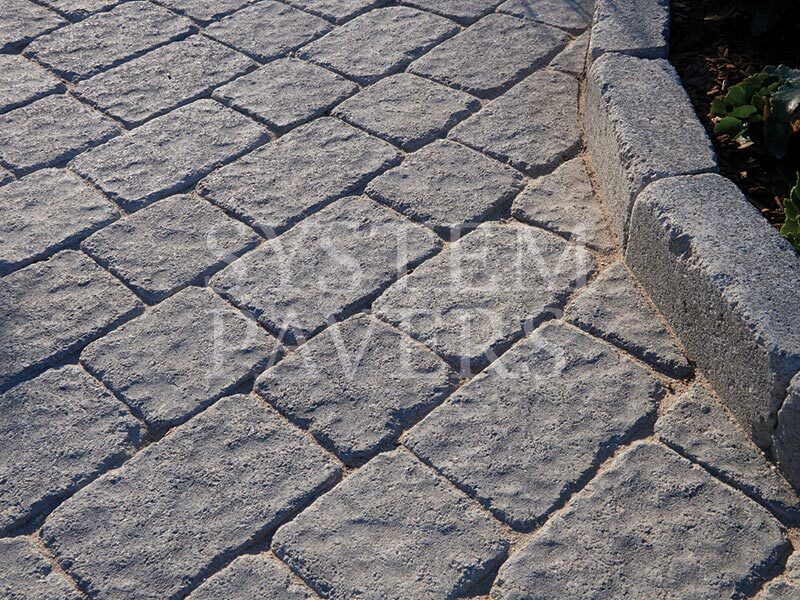 While concrete may be low-cost up front, it tends to crack over time and does not stand up to the effects of weather. 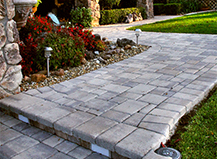 When it comes time to install, repair, or replace a damaged walkway, paving stones frequently make for a much smarter long-term investment. 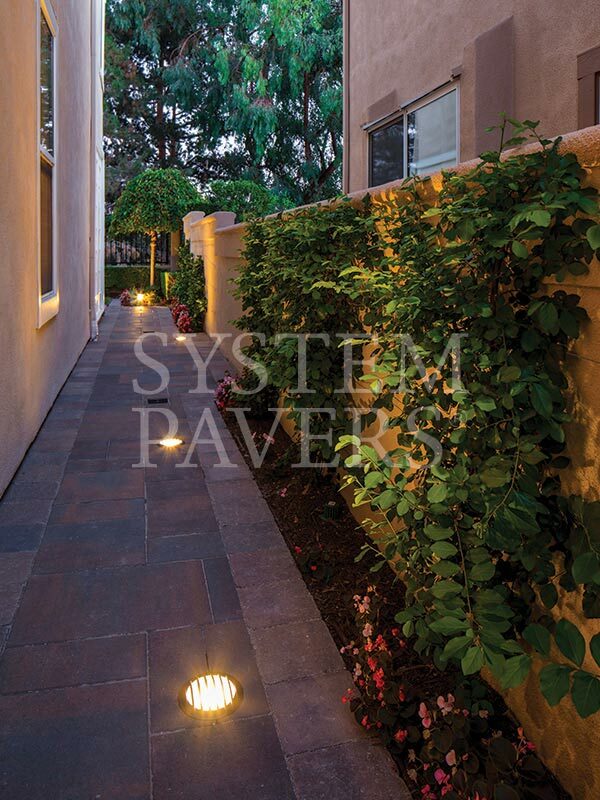 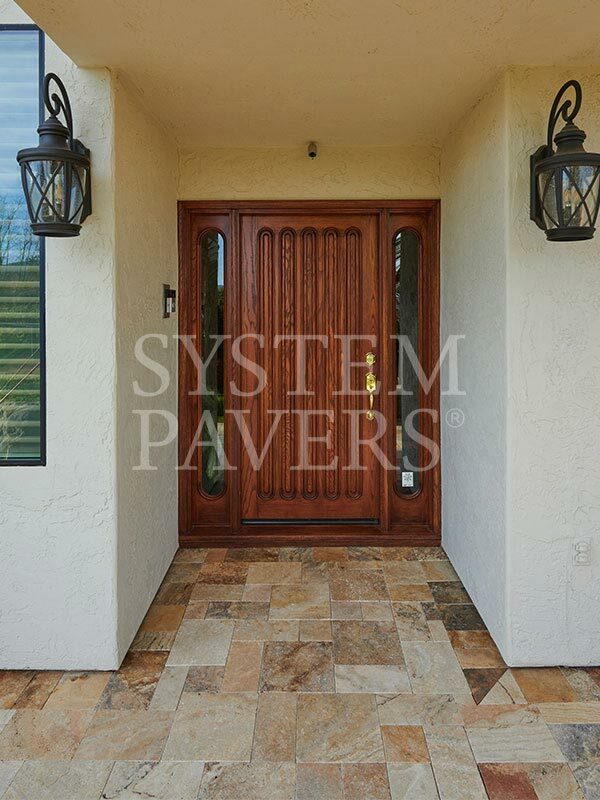 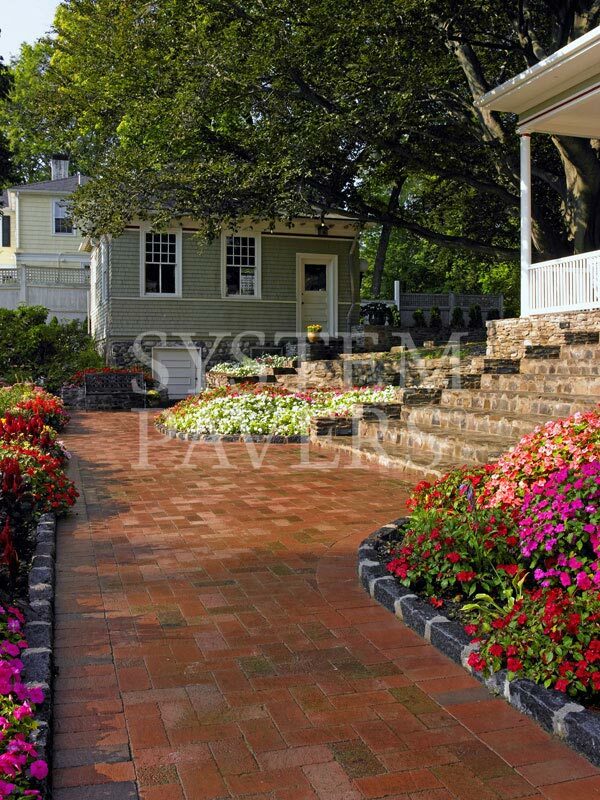 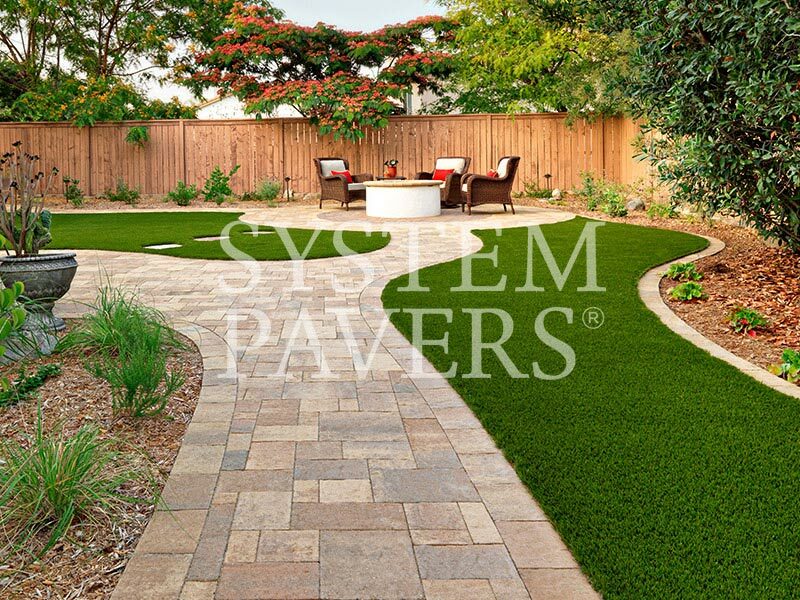 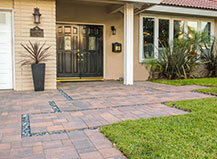 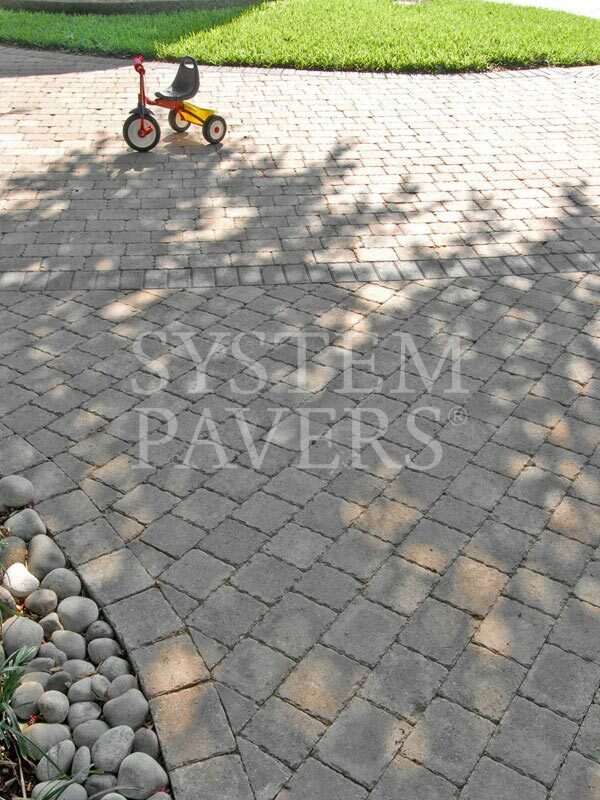 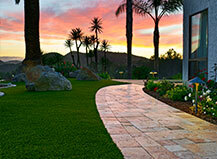 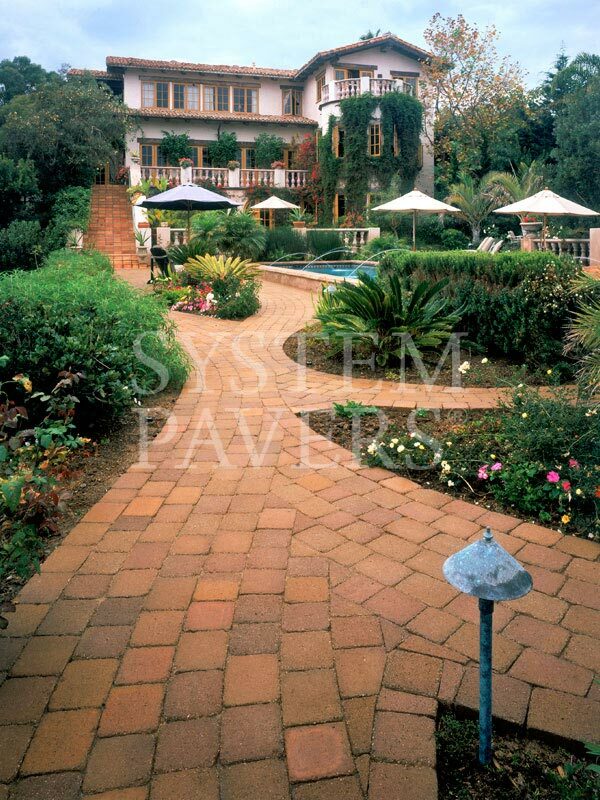 Why Choose System Pavers for Your Walkways? 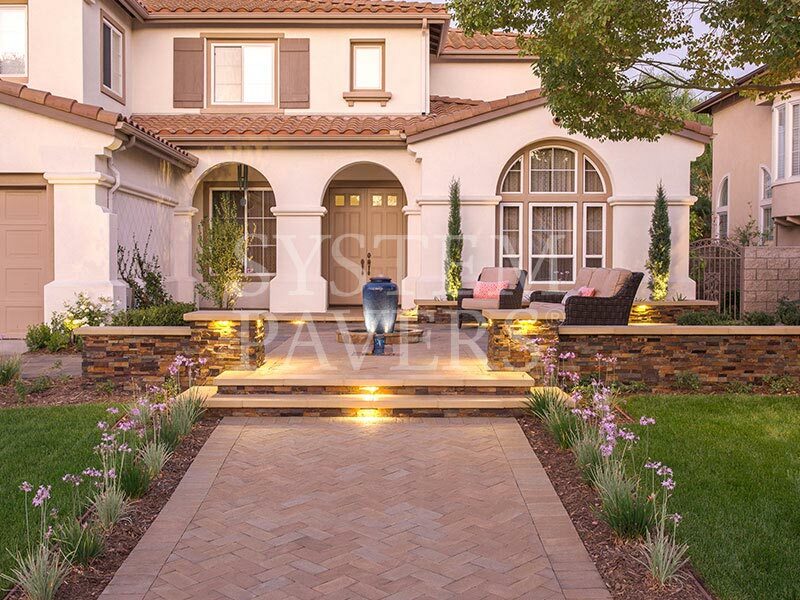 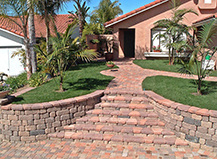 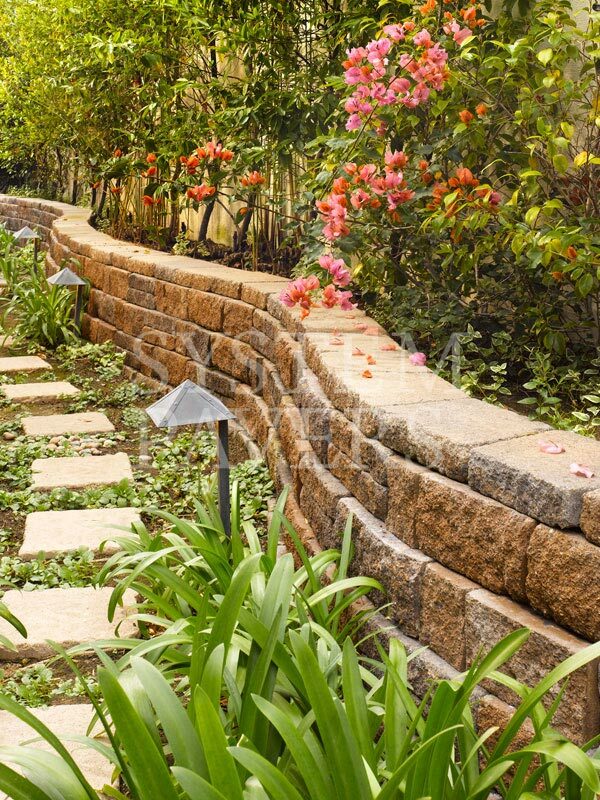 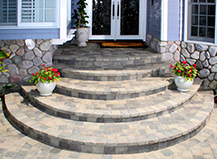 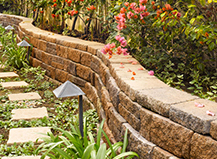 Nothing enhances a home's exterior like a well-designed walkway, and System Pavers is more than qualified to help you create these and other outdoor elements for your home. 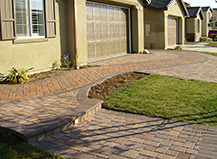 We guarantee satisfaction with all of our projects. 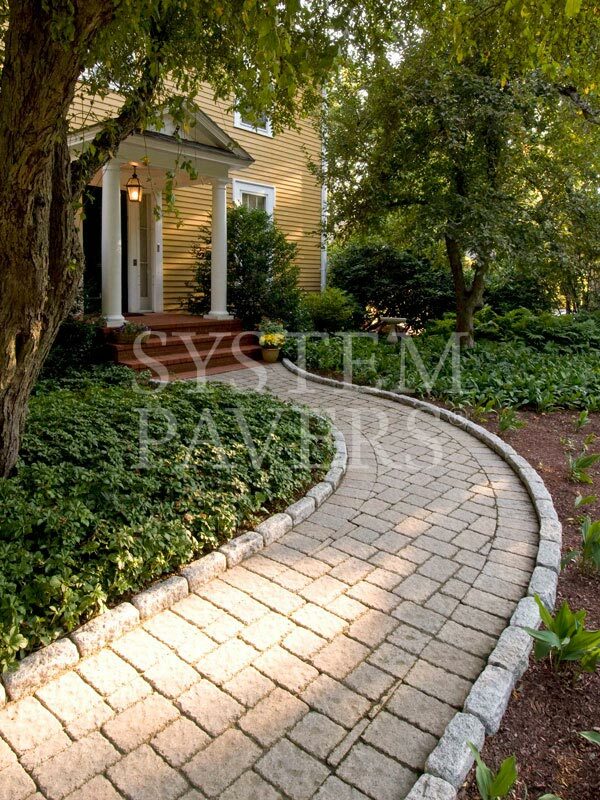 Whether it's your front walkway or garden walkway , our landscape craftsmanship is unmatched.. Let us work with you to design the perfect walkway for your home today. 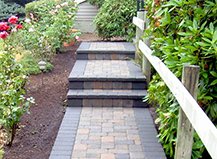 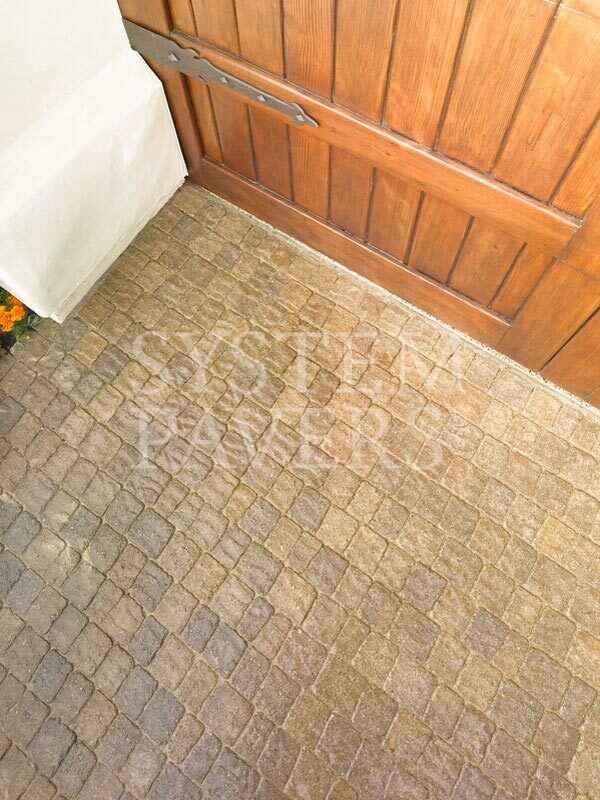 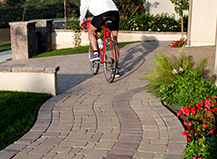 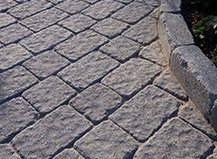 Contact us to learn more about our interlocking walkway pavers. 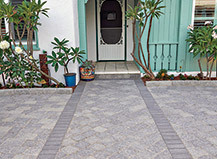 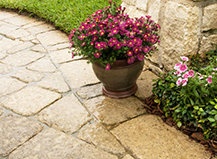 Keep your pavers looking beautiful for years to come with these tips.